Hello friends! 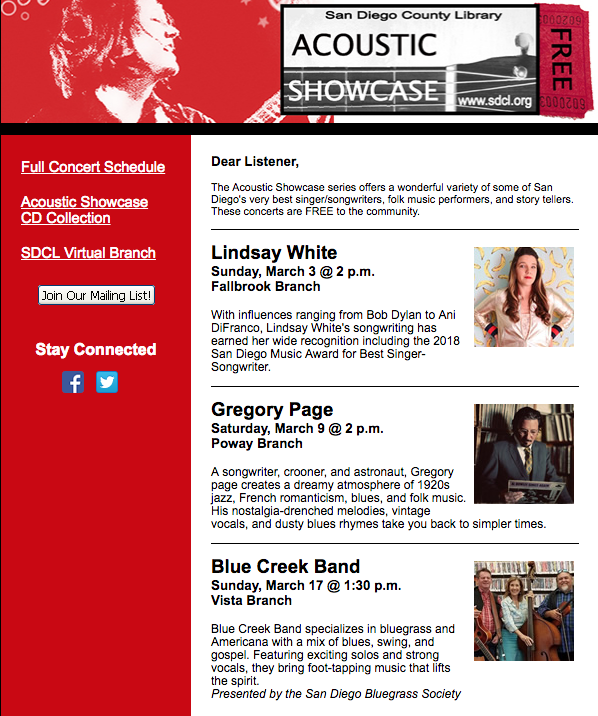 Just popping in to remind all my San Diego area friends that I will be playing an original songwriter showcase at Fallbrook Library on Sunday, March 3 from 2-3pm. This is a free, all-ages showcase. Did I mention it's in a library? The coolest of all the public buildings. 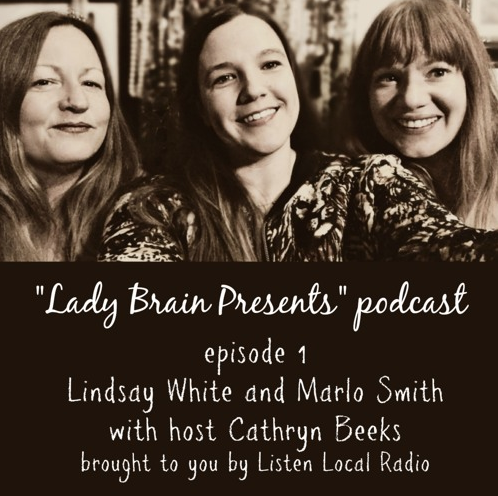 Yesterday, we launched the Lady Brain Presents website, and today my homie Cathryn Beeks from Listen Local Radio launched the Lady Brain Presents Podcast. 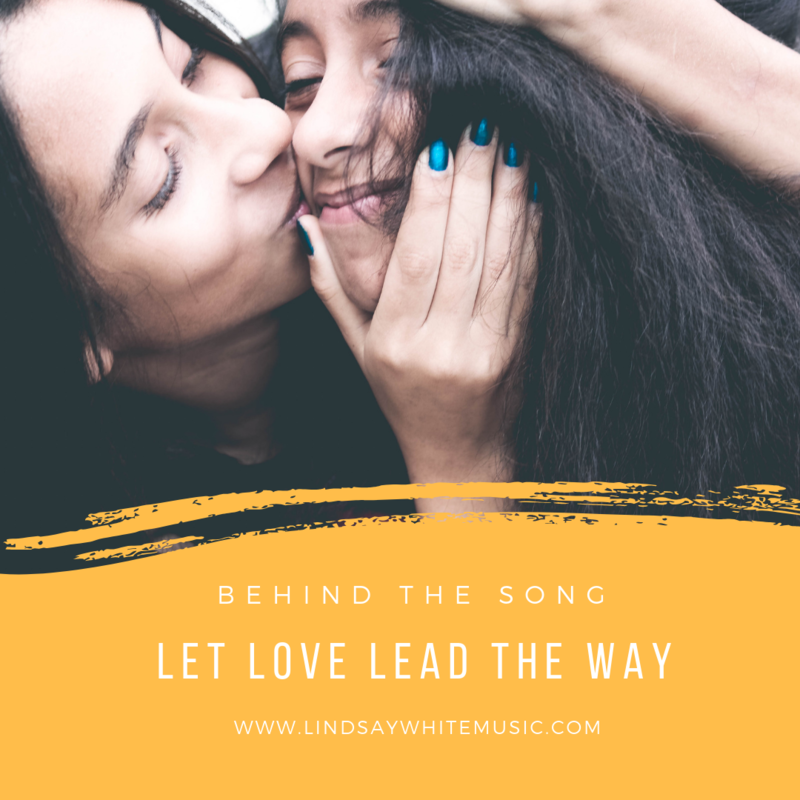 The inaugural episode featured your girl and the incredible Marlo Smith. I've been sharing a little bit about a local creative women's collective I started this year called the Lady Brain Collective. 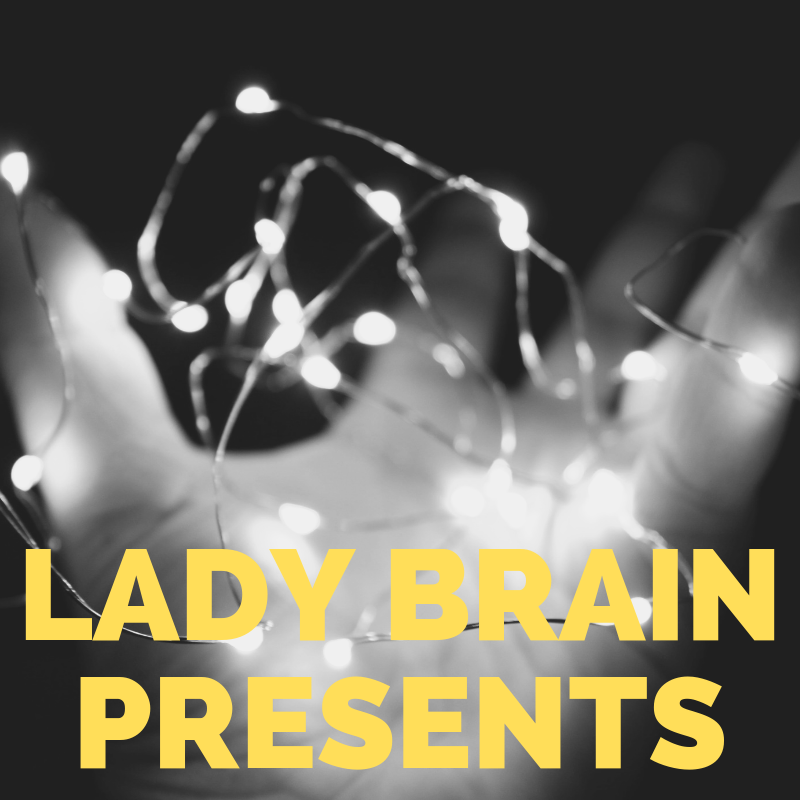 I'm happy to announce that our website, Lady Brain Presents, was just launched today! Take a look around, and don't forget to sign up for updates about our private community gatherings! Thanks to Brendan McCourt and BPM Live Sessions for featuring me on their series. 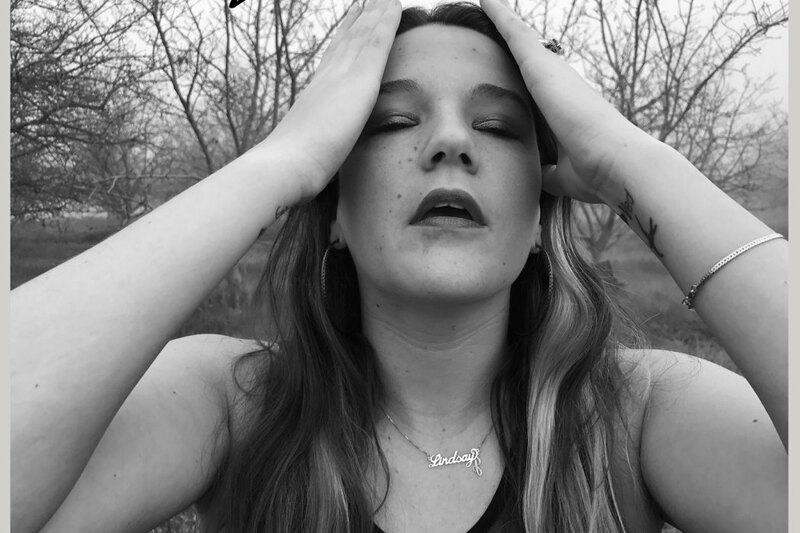 Here's a look at "Run" - a song I wrote about how anxiety wreaks havoc in my life sometimes. Enjoy, and try not to have a panic attack. how do i breathe now? how do i climb down? all i ever did was run? I am extremely grateful to the Women's March San Diego team (particularly Alisandra and Poppy) for giving me an opportunity to perform at this year's march. Special thanks to Karen Lindenberg and Becca Jay for lending their time and talent to join me. Also to my dear friend Lizzie Wann for always showing up. What a great day to be a woman! See below links for some news coverage of the event! I'm excited to share that I'll be presenting at this month's San Diego Songwriter Meetup on the topic of DIY Publicity. I will be sharing few stories of how I've developed publicity over the last decade as an independent artist. Learn a little about working with publicists and a lot about becoming your own publicist. Discover different types of media outlets, how to reach them, and what they're looking for in a pitch. I will also talk about creating your own news, maximizing each piece of press, and building genuine relationships. Great news! 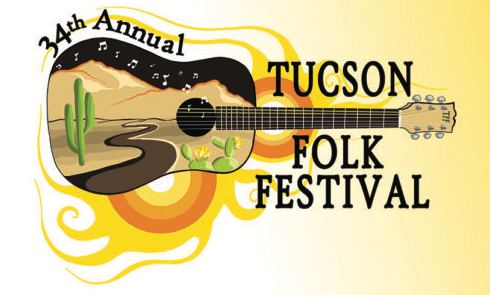 I just received word that I was selected to be on the lineup for this year's Tucson Folk Festival. It's been one of my goals to book more folk festivals around the country, so I am very excited! More details to come, but I'm scheduled to perform on April 7th! Read more about the festival here. Thanks to Jay Allen Sanford at San Diego Reader for including the release of my new single The Hound in his latest record roundup! Read the article here!